If you live to eat — rather than eat to live — this is the cinematic smorgasbord for you. Food is a daily adventure, especially for those with daring palates, open minds and some air miles. Travel around the world for a taste of different cultures courtesy of some of the most committed and most decorated chefs, from the Syrian refugee who runs “The Nicest Place In America” to the Austrian exec who raises truly slow food, to the maverick pasta savant who educates diners one hand-made dish at a time. All programs are subject to change at discretion of Festival management. Admission: $10 or get a Film Festival Pass for $75 which gets you access to all films during the festival weekend. All sales are final. There are no refunds, no exchanges possible. The Push is an inspirational documentary about the power of never giving up. Grant Korgan is a world-class adventurer, nano-mechanics professional, and husband. On March 5, 2010, while filming a snowmobiling segment in the Sierra Nevada back country, the Lake Tahoe native burst-fractured his L1 vertebrae, and suddenly added the world of spinal cord injury recovery to his list of pursuits. On January 17, 2012, along with two seasoned explorers, Grant attempted the insurmountable, and became the first spinal cord injured athlete to literally PUSH himself ~nearly 100 miles (the final degree of latitude) to the most inhospitable place on the planet – the bottom of the globe, the geographic South Pole. Grant and his guides reached their destination on the 100th anniversary of the first explorers to travel to the South Pole. Facing brutal elements, demanding topography and presumed physical limitations are just some of the challenges they faced along the journey. With this inspirational documentary, The Push team hopes to inspire people in all walks of life to achieve the seemingly insurmountable in their life, to push their own everyday limits, and to live their ultimate potential. The secret to staying young is playing young, Just because you’ve grown up doesn’t mean you ought to give up the games that always brought you joy. So, give your inner child a nudge, remind them how much fun it is to play table tennis or basketball, whenever, wherever. Doesn’t matter if you’re a pro or an amateur, we should all play for love of the game — even if our identities or our nation’s depend on mailing that last shot. 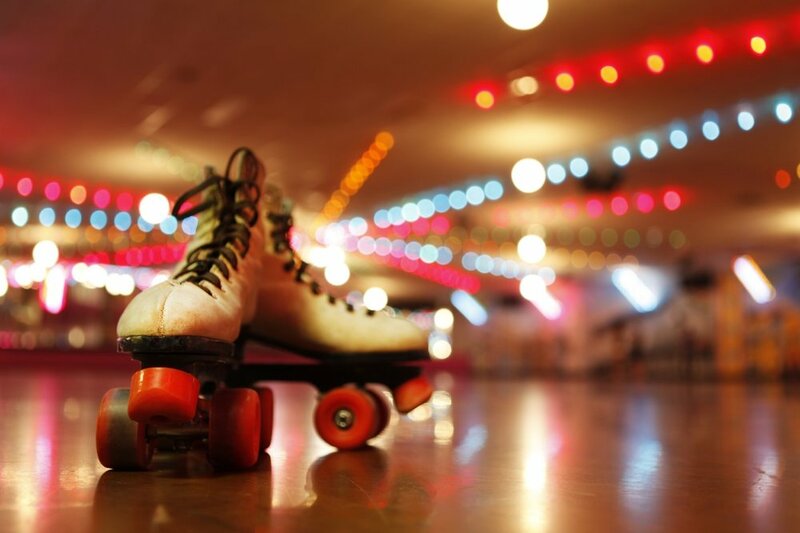 More than 11 million people still enjoy roller-skating, so where’s the love? Better yet, where are the rinks? Well, Auburn Sk8 still gives folks a chance to get down, get groovy for a wheel good time six days a week. After a special screening of an award-winning doc about the pleasures and impact of roller-dancing and a few shorts chronicling the joys of skateboarding in Paris and St. Louis to get things rolling, prepare to skate the night away with some celebrity guests and other surprises. Admission: $10 or get a Film Festival Pass for $75 which gets you access to all films. All sales are final. There are no refunds, no exchanges possible. All programs are subject to change at discretion of Festival management. Skate, dance, schmooze the night away at Auburn Skate. Take it easy or test yourself alongside the all-pro Dockyard Derby Dames, who will also provide a tantalizing demo of their bloodsport... just for fun. It’s Closing Night, y’all, let’s roll! An additional ticket is needed for this adventure. Cost: $9 per person and includes skate rental. If rollerblades are preferred, there is a $2 surcharge at the rink. Food and drink will be available for purchase.